I'm curious to find out if these are war time patches. The first photo I believe are WWII era...the rest I'm fairly positive are post-war. I just want to be certain before they go into the reference library. Small titles...only about 2.5 inches wide. Also post-war. Hello Dale, The top example is similar to the WW2 pattern, but I believe it is post war. 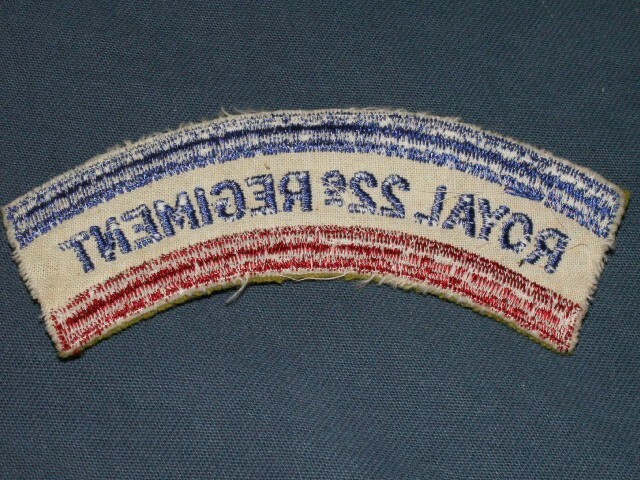 That pattern of title was worn until at least the Korean War. (One of the Vet's Affairs tv ads shows a collage of images of the Canadian Forces over history, and there is a really clear image of the Van Doo's in Korea wearing that pattern.) 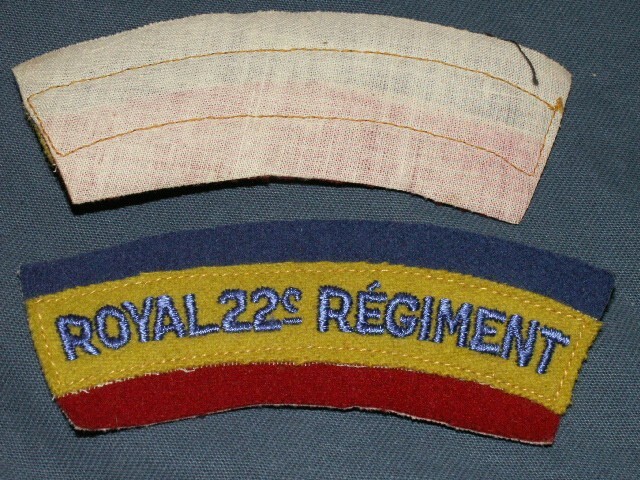 The reason I think it is post war is the lack of serifs on the letters, the style of embroidery, and the backing material. Note: Copies are being made and sold out of the UK. The large fully embroidered pattern was worn mid 50's through the unification period. 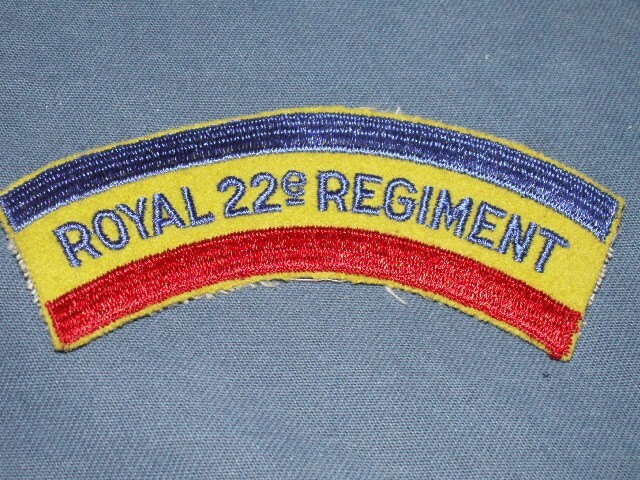 The small fully embroidered the titles were worn on the workdress and DEU in the 80's and 90's. Thanks Bill! I got these and a pile more in a patch lot from...can't recall his name...Urusal? 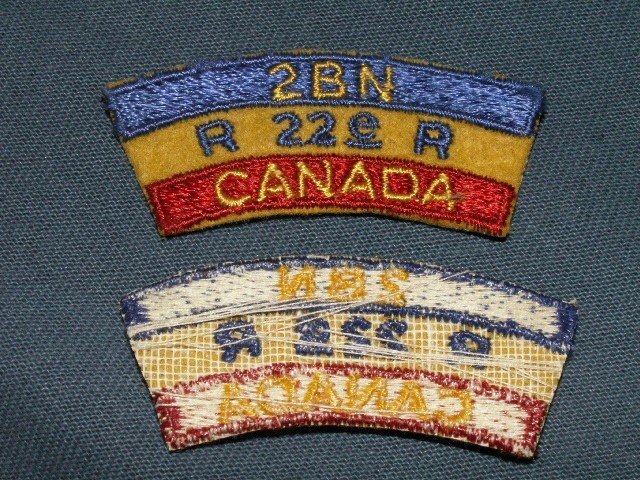 He was a Canadian badge and insignia collector who passed away a while ago. Anyways, I bought a badge for a vet friend a few years ago and saw that he was selling patch lots as well, so I grabbed one. Do the first two look like those repops from the UK? If so, I should make a fakes reference in the gallery. Sounds like a good idea anyways. With the provenance of being bought from Gene, I would say they were not current repros. Gene had a huge bin of cloth, which was mostly nos.